Wright State University Mens Soccer offers several camps, throughout the year, for young soccer players. All are a great opportunity to interact with WSU staff and current players. For boys of all experience and skill level. Work with Wright State college coaches and players, in a fun and safe learning environment. Participants will work on individual skills, as well as participate in a number of small sided indoor games. 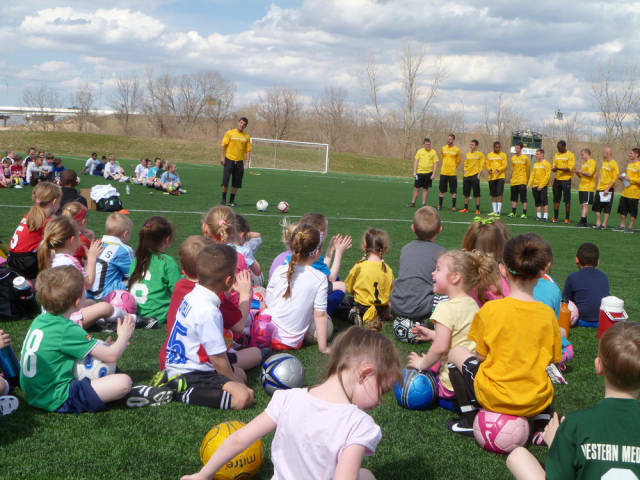 The purpose of the Wright State Boys Soccer Academy is to create an enjoyable playing and learning atmosphere. Emphasis will be placed on the technical aspects of the game such as dribbling, passing, receiving, striking a ball, finishing and more. In addition, players will be placed in game situations that require decision making (tactics) and a competitive spirit. Technique, tactics, competition and fun are the pillars for any successful soccer player. We intend to provide an experience that makes each player want to come back year after year.